In the past few years we have been working on and developing a risk assessment that was better suited for working with crowds. Our initial focus was on multi stage music events; but, we recognised that the model could be altered to suit most crowded events. 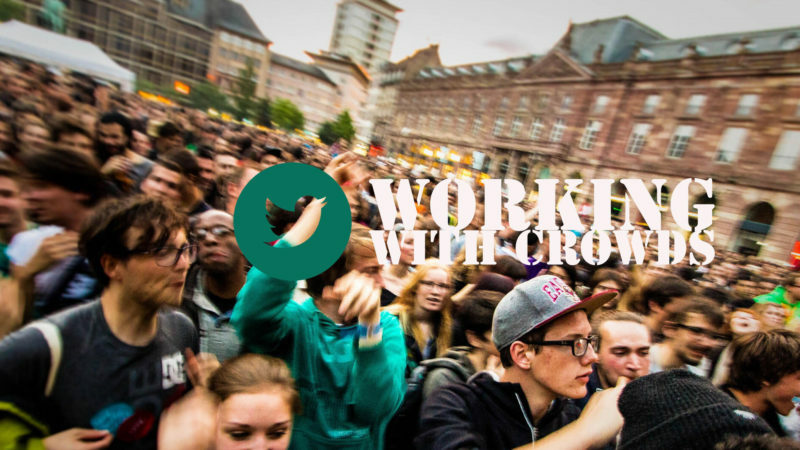 We wanted to bring together an understanding of the acts, the crowd activities associated with them from the associated norms to extreme behaviours (or possibilities of) as well the movement of the crowd and related potential density. A few years back we were assisting on a multi day music event; although were not part of the planning for the event. After a couple of problematic days in relation to the crowd, their activity and their interaction with the design of the event space, it was decided that a greater understanding of the customers and bands was required. 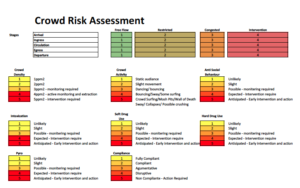 Been a bit of a music and crowd safety geek (you could never tell), we looked to create a simple risk assessment that would bring to the front problems that could occur. Year 1 – we found we understood the bands performing better as a team (we are now involved in the event planning). We appreciate the audience for each day and how they should act; based on research of previous events and regional crowd norms for the genres. Year 2 – we have built our deployments and crowd safety measures around the RS and add more and more information to it. Year 3 – we are about to plod along with the risk assessment, but, were concerned about complacency and how to develop. By luck, we had lunch with Mick Upton and during the conversations the Risk Assessment came up and Mick was interested to see it. We were humbled and grateful that he would take time the time to look at our Risk Assessment. After a few emails back and forth, it was like a light had been turned on and by pointing out some simple oversights we could gain so much more from the assessment. For Year 3 we introduced, Arrival, Ingress, Circulation, Egress and Departure. This was all to a timeline and included movement during intervals and possible movement between stages. 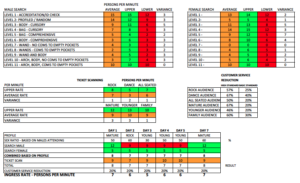 Year 4 – we developed year 3 and introduced a greater understanding on ingress rates per day. The client wanted a high level of customer service and were possible remove all queueing after the initial opening stage were early arrivals have gathered. We needed a selection of criteria were we seen risk with a crowd. This would range from lowest risk to the possibility of harm being caused. We then created a time line for the day for the main stage area, followed by how secondary stages would fit into the timeline. Our latest introduction, was the consideration of ingress rates based on the audience attending each day. We have provided a full brief for this HERE. This allowed the event to tailor their security features and manning levels to suit the customers and numbers attending. We are sure that there is so much more we can do to develop the idea. In the mean time, we thought we would share to see if it can spark an idea in others, or assist point in the right direction as to were you may have found a problem.